LOMBARD, ILL., July 12, 2017– This September, Stevens & Tate Marketing will be emphatically represented at the one of the most respected associations of providers serving Illinois older adults, LeadingAge Illinois. Internet Marketing Director Nicole Wagner will be sharing her extensive online marketing expertise. LeadingAge 2017 is being held from September 26th to the 27th at The Hilton Lisle/Naperville in Lisle, Illinois. At the show, Nicole will carry out a 90-minute presentation on how to attract, convert, and close prospects using social media strategies and website conversion techniques. 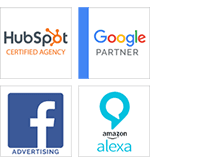 According to the agency, the Internet has become a cornerstone of our marketing efforts, and although it is now easier to reach our audience, it may be harder to stand out from the crowd. How do we get the most out of our online marketing efforts? How do we make sure our social media platforms are as effective as possible? The session will help attendees determine their top marketing strategies in order to hit their top 2017 business goals. Wagner will present essential strategies that will teach how to use social media to communicate with an audience on a more personal level, as well as optimizing a website in order to make it easier to find. Her educational sessions continue to be well received by all types of organizations because she emphasizes providing relevant and actionable takeaways that are targeted to each audience. From Wagner’s presentation, attendees should be able to determine what their key marketing tactics are to achieve overall business goals, be able to create buyer personas of future residents and prospects, and understand the stages of the buyer’s journey and how to communicate to prospects through each stage. In addition, attendees will walk away with defined steps to improve their website and social media platform to meet their objectives. Nicole’s presentation is a great opportunity for LeadingAge members to learn proven techniques to improve their marketing performance. LeadingAge Illinois is one of the largest and most respected associations of providers serving Illinois older adults, and the state chapter of the significant national organization. LeadingAge Illinois serves more than 500 providers including home and community based services (HCBS), senior housing, continuing care retirement communities (CCRC), assisted living, supportive living and skilled nursing/rehabilitation centers. SUMMARY: Stevens & Tate Marketing Internet Marketing Director Nicole Wagner has been selected as a featured speaker for the LeadingAge Illinois 2017 Conference in Lisle, Illinois. As a repeat speaker for this prominent national event, Nicole will provide key insight into proven strategies on how to attract, convert, and close prospects using social media strategies and website conversion techniques. How To Use ROI To Reach Your Social Media Marketing Goals What Are Marketing Qualified Leads And Why Do They Matter?